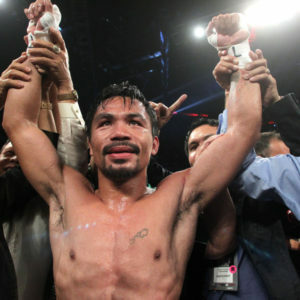 Nov. 23, 2014, Macau, China — Superstar Manny Pacquiao wins a 12-round unanimous decision over WBO Jr. Welterweight champion Chris “Real Rocky” Algieri. at the Cotai Arena in The Venetian Macao Resort in Macau,China. Benre J. Zenarosa is a freelance writer. He’s the recipient of the 2016 Lasallian Scholarum Award for Outstanding Published Column Article on Youth and Education in a Nationally Circulated Publication. His works have appeared in the Philippine Daily Inquirer, Rappler.com, and The Nation. He’s from Makati City, Philippines.